Attempts were made to fabricate three-dimensional nanostructures on and out of a substrate by electron-beam-induced deposition in a 200-kV scanning transmission electron microscope. Structures with parallel wires over the substrate surface were difficult to fabricate due to the direct deposition of wires on both top and bottom surfaces of the substrate. Within the penetration depth of the incident electron beam, nanotweezers were fabricated by moving the electron beam beyond different substrate layers. Combining the deposition of self-supporting wires and self-standing tips, complicated three-dimensional doll-like, flag-like, and gate-like nanostructures that extend out of the substrate were successfully fabricated with one-step or multi-step scans of the electron beam. 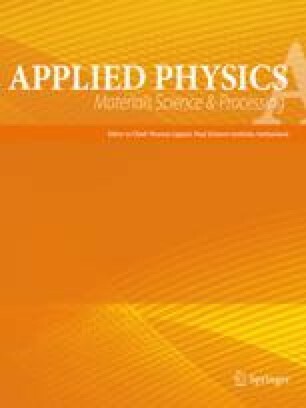 Effects of coarsening, nucleation, and distortion during electron-beam-induced deposition are discussed.